Here is a simple one for today. Unfortunately, simple as it was, I still couldn’t manage to finish this one today. I have a good reason though! 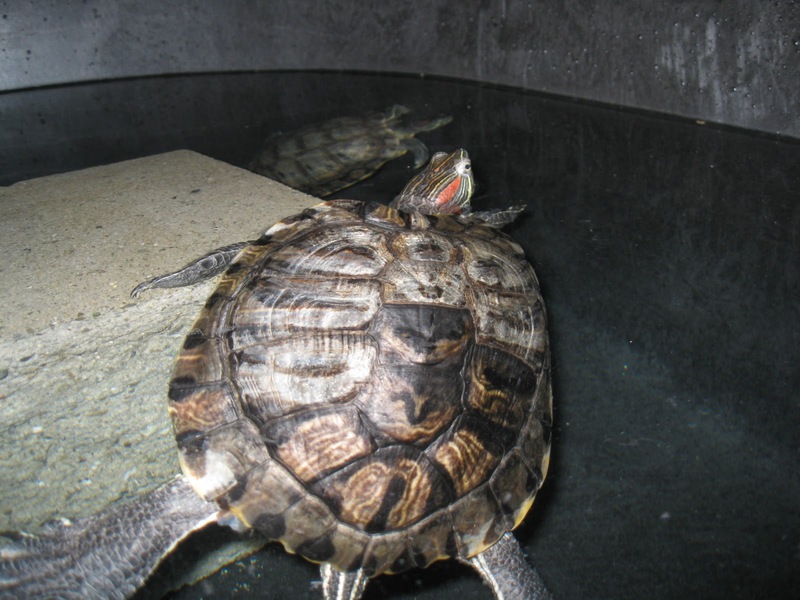 Two of my turtles, Tina and Charlie, were living in a plastic tank in my daughter’s bedroom. The tank sprung a leak so we bought them a new stock tank. I spent the evening cleaning the new tank and transfering the turts and their stuff to their new home. Tina and Charlie in their new tank. After some dinner and Glee, I got started on this pillow. 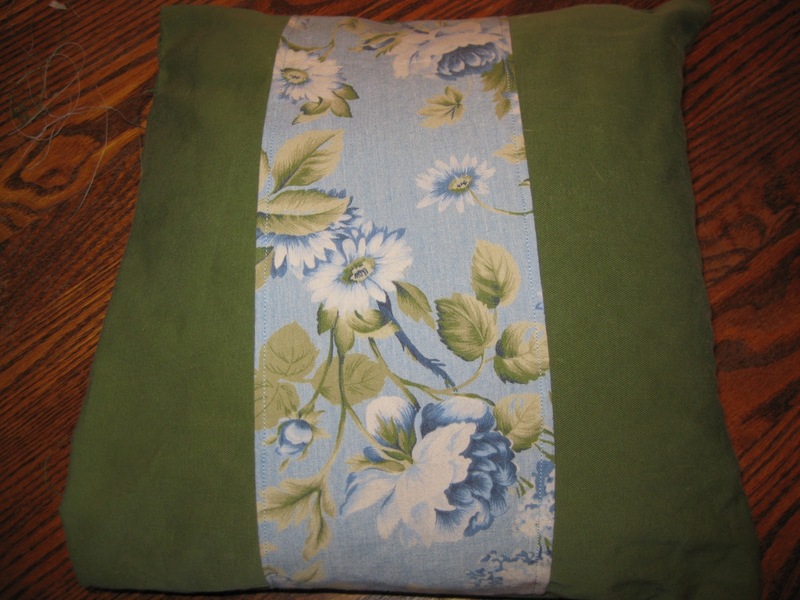 The pillow was this ’80s country style pillow with a ruffle. The new fabric that I chose for this was a really cool Banana Republic cotton duvet cover in khaki green. The stripe on top was taken from a cotton dress. 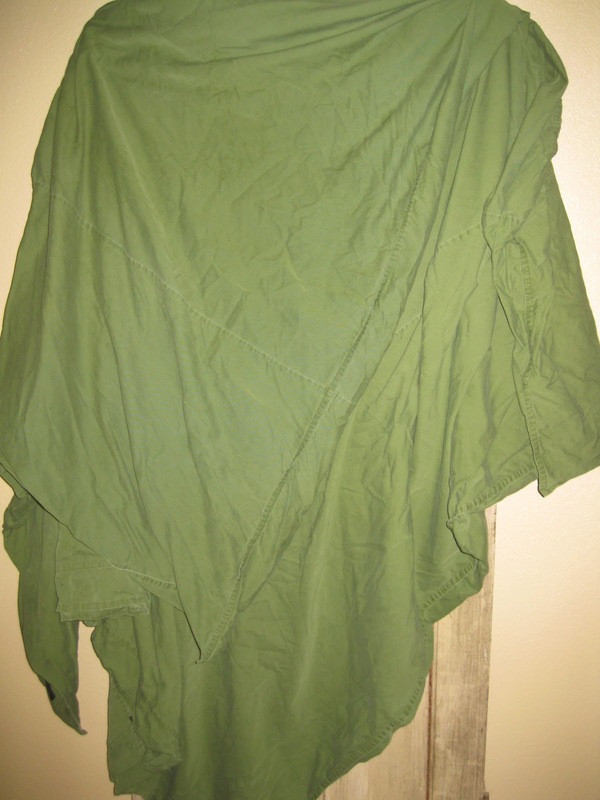 I turned down the edges of the dress fabric and sewed this on to the khaki fabric. I then turned the fabrics over and sewed the pillow 3/4 around. I turned it right side out and stuffed the pillow filler in.